Mobile apps and gaming are taught in many of our courses. Students create independent projects tailored to their own interests. Students learn all of the necessary skills for software development (software analysis and design, project management, algorithmic design, database design, graphics programming, team work, computer security, quality assurance) in a fun, exciting, and personalized way. Each semester, Cyber Systems students present their projects to the public, Cyber Systems alumni and business partners. 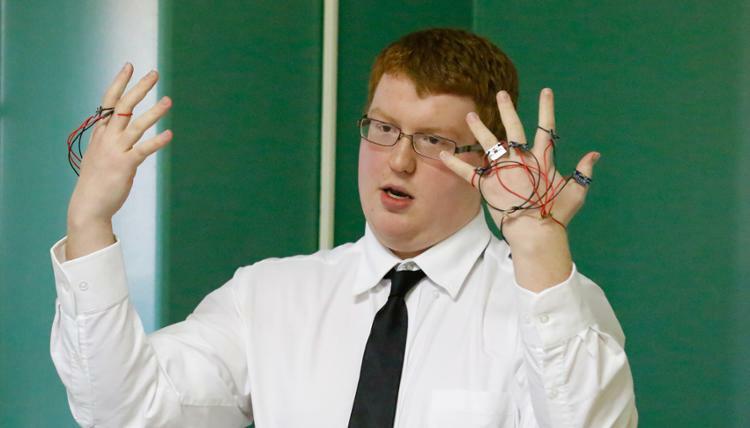 Cyber Systems students also present professionally at local, regional, and national conferences. Below are a list of sample projects. 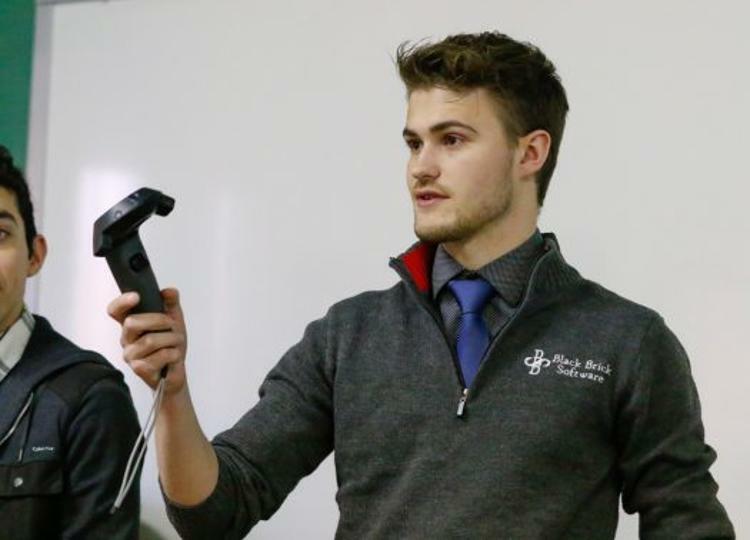 Students completed a variety of software projects including a VR skeeball game created in Unity, a 3D free runner game created in Unity, and an augmented reality app for iPhones. 3D Printed “Smart” LockBox controlled by a secure app. Web service allows for management of multiple boxes. NASA Robotic Mining Competition Design. Robot will be tasked with mining and returning 10kg of material to a collection bin. Design focuses on minimizing weight, power usage, and dust contamination. Competition in May, 2017 at Kennedy Space Center. Temporal Stock Market Data Analysis Tool. Parses historical price actions for over 900 stocks. Sorts stocks by the ascending triangle pattern and distance from last closing price to nearest trend line. Integrates with thinkorSwim trading app to produce a watch list. Load balancing library implemented in a Twitch.tv chat bot. Balances arbitrary work across multiple computers or processors. A web-based display shows load balancers’ status and the statuses of nodes under each load balancer. Faculty members are always actively looking for students to participate in the Undergraduate Research Fellow program (with pay), as well as the Summer Student Research Program (also with pay). 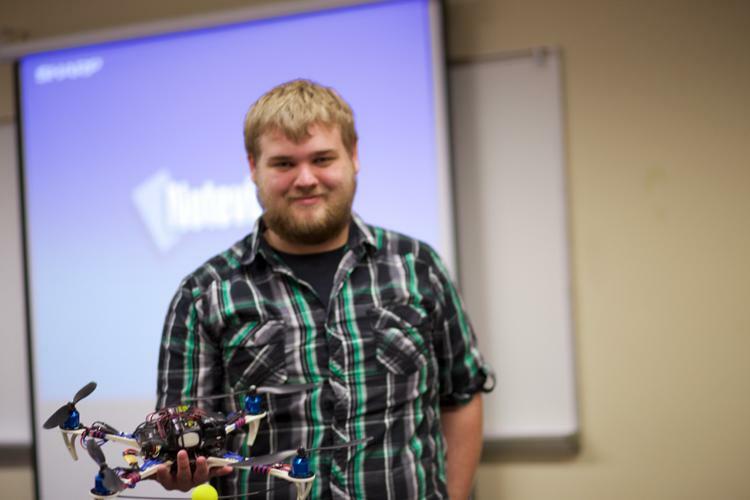 Check out the undergraduate research opportunities available at UNK.